If the day and the night are such that you greet them with joy, and life emits a fragrance like flowers and sweet-scented herbs, is more elastic, more starry, more immortal- that is your success. All nature is your congratulation, and you have cause momentarily to bless yourself. The greatest gains and values are farthest from being appreciated. We easily come to doubt if they exist. We soon forget them. They are the highest reality. Perhaps the facts most astounding and most real are never communicated by man to man. The true harvest of my daily life is somewhat as intangible and indescribable as the tints of morning or evening. It is a little star-dust caught, a segment of the rainbow which I have clutched. Must the citizen ever for a moment, or in the least degree, resign his conscience to the legislator? Why has every man a conscience, then? I think that we should be men first, and subjects afterward. It is not desirable to cultivate a respect for the law, so much as for the right. The only obligation which I have a right to assume is to do at any time what I think right. It is truly enough said that a corporation has no conscience; but a corporation of conscientious men is a corporation with a conscience. Law never made men a whit more just; and, by means of their respect for it, even the well-disposed are daily made the agents of injustice. To speak practically and as a citizen, unlike those who call themselves no-government men, I ask for, not at once no government, but at once a better government. Let every man make known what kind of government would command his respect, and that will be one step toward obtaining it. 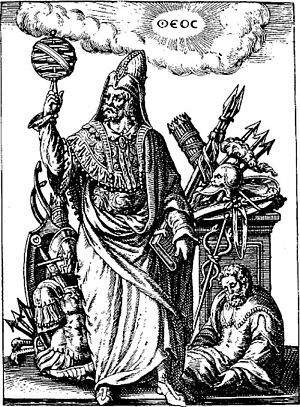 After all, the practical reason why, when the power is once in the hands of the people, a majority are permitted, and for a long period continue, to rule, is not because they are most likely to be in the right, nor because this seems fairest to the minority, but because they are physically the strongest. But a government in which the majority rule in all cases cannot be based on justice, even as far as men understand it. We must learn to reawaken and keep ourselves awake, not by mechanical aids, but by an infinite expectation of the dawn, which does not forsake us even in our soundest sleep. I know of no more encouraging fact than the unquestionable ability of man to elevate his life by a conscious endeavour. It is something to be able to paint a particular picture, or to carve a statue, and so to make a few objects beautiful; but it is far more glorious to carve and paint the very atmosphere and medium through which we look, which morally we can do. To affect the quality of the day, that is the highest of arts. 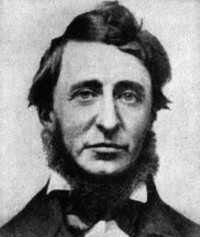 Henry David Thoreau was an American author, abolitionist, poet and philosopher. He is best known as the author of the book Walden. He has also been highly influential in political thought.